The 7th Pay Commission report has recommended an average 23.55% hike in salaries and allowances of Central government staff and the same is likely to be replicated in all the states too, except Puducherry where the same system as in Centre is already applicable – minimum pay set at Rs 18,000 per month and maximum pay at Rs 2,50,000 per month – recommended date of implementation: 01, January, 2016. There is a report in a section of press that while inaugurating an Awareness Workshop on the online Pension Sanction and Payment Tracking System “BHAVISHYA”, Union Minister of State (Independent Charge) for Development of North Eastern Region (DoNER), MoS PMO, Personnel, Public Grievances and Pensions, Atomic Energy and Space, Dr Jitendra Singh said that the practice of submitting Digital Life Certificate for continuation of pensions will soon be done away with. 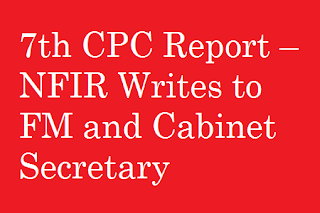 Strongly rebutting the report, it is stated that Union Minister Dr Jitendra Singh has never ever expressed any opinion on the issue at any platform and, therefore, the question of having made such a statement does not arise at all. 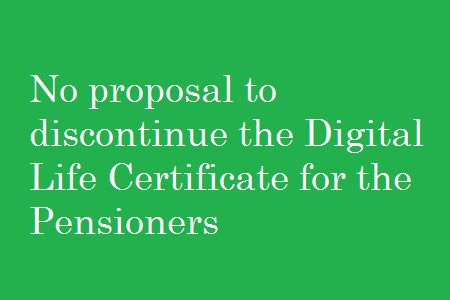 It is clarified that, as of now, the government has no proposal to discontinue the Digital Life Certification for the pensioners. It is to be stated that “Jeevan Pramaan” – a facility for submission of digital of life certificates by pensioners has been launched in November 2014. This is a voluntary facility provided in addition to existing provisions available for submission of life certificates. 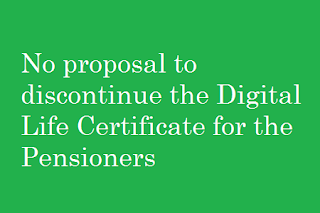 Till date 9,62,910 Digital Life Certificates have been furnished by pensioners. 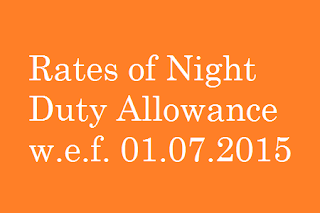 Consequent to sanction of an additional instalment of Dearness Allowance vide this Ministry’s letter No.PC-VI/2008/I/72/1 dated 24.09.2015, the President is pleased to decide that the rates of Night Duty Allowance as notified vide Annexures “A” and “B” of Board’s letter No.E(P&A)II-2015/HW-1 dated 08.06.2015 stand revised with effect from 01.07.2015 as indicated at Annexure “A” in respect of “continuous”, “Intensive”, ‘Excluded’ categories and workshop employees, and as indicated at Annexure ‘B’ in respect of ‘Essentially Intermittent’ categories. 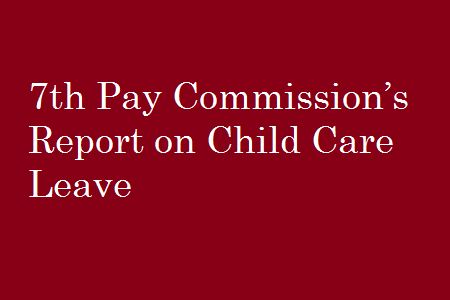 Child Care Leave (CCL) is granted to women employees for a maximum period of years (i.e., 730 days) during their entire service for taking care of their minor children (up to eighteen years of age). There are several demands relating to CCL which include converting the same into “family care” leave, extending the facility to male parents and many representations stressing that it should be extended at least to single male parents. Suggestions have also been received that in cases where the child is differently abled, the clause stipulating that the child should be minor, should be done away with. Single mothers have highlighted their unique problems and requested the Commission for liberalising the grant of CCL. Interestingly, representations have also been made for discontinuance of the CCL, primarily on the grounds that it disrupts office working and also because it promotes gender discrimination. When CCL was first introduced by the VI CPC it generated considerable interest as it represented a positive measure benefiting women employees. It also took a while to stabilise and it is seen that as many as five amendments/clarifications were issued within a short period of time. As it stands, it is meant for women employees “for taking care of up to two children whether for rearing the children or looking after their needs like examination, sickness etc.” It is treated akin to Earned Leave and is sanctioned as such. It may not, however, be granted in more than three spells in a calendar year. The Commission notes that in the event a male employee is single, the onus of rearing and nurturing the children falls squarely on his shoulders. Hence extension of CCL to single male parents is recommended. 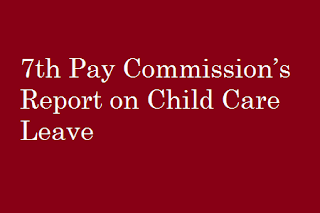 Moreover, the Commission recognizes the additional responsibility on the shoulders of employees who are single mothers. Accordingly, it is 365 Index recommended that for such employees, the conditionality of three spells in a calendar year should be relaxed to six spells in a calendar year. 10.3.12 The Commission has examined these concerns raised by the stakeholders. The Commission also interacted with Chairman, PFRDA, and representatives of the Department of Pensions and Pensioners Welfare (DPPW), Department of Personnel and Training (DoPT), Department of Expenditure (DoE) and the Department of Financial Services (DFS). (vi) development of the annuity market. i. The larger federations and staff associations advocated scrapping the NPS on the ground that it discriminates between two sets of government employees. ii. Individuals covered under NPS have pleaded for reverting to the OPS on the grounds of uncertainty regarding the actual value of their future pension in the face of market related risks. iii. Individuals have pointed out that under NPS, the effective salary becomes less since the employee has to mandatorily contribute 10 percent of pay towards the pension fund. iv. Individuals have stated that grievance redressal facility is not effective and consultation with stakeholders has been non-existent. This communication gap has generated insecurity in the minds of stakeholders including staff and Group ‘A’ officers of Central Government as well as All India Service Officers. v. Associations have complained that Family Pension after the death of the employee is not ensured in the NPS. Moreover, if an employee dies at an early age, the family would suffer since annuity from the contribution would be grossly inadequate. vi. Individuals have complained that NPS subscribers have no recourse to GPF for their savings. Their personal savings (10% of salary) are considered part of a larger corpus. It has been pointed out that the justify approach would be to consider only government’s contribution and the returns earned on it as the effective amount available for purchase of annuities. vii. Associations have pointed out that unlike the facility under GPF, it is not possible to take refundable advances under NPS, even to meet obligatory social expenditure. This forces employees towards increased indebtedness as they have to borrow from elsewhere. viii. Grievances also relate to tax treatment under NPS. While contributions and accumulations in NPS are exempt, lump sum withdrawals from NPS at any time are taxable at par with any other income. In addition, there is a service tax liability on any amount utilised for purchase of annuity. ix. It has been pointed out that though NPS became effective from 2004, detailed instructions were issued only in late 2009 and in many cases the credit of contributions began from 2012. In the case of AIS officers in some States, contributions by the concerned State Government are yet to be fully made and deployed. The net result of this has been that contributions for the period 2004-2012 have not been made in full or have earned simple interest and did not get any market linked returns. Because of the prevailing confusion, contributions made by some AIS officer have been returned to them without interest. This will have a huge impact on the eventual corpus as the benefits of compounding were not available for the first 8 -9 years. x. Individuals, in their presentation before the Commission, stated that annuities under NPS have no compensation for inflation unlike dearness relief under OPS. 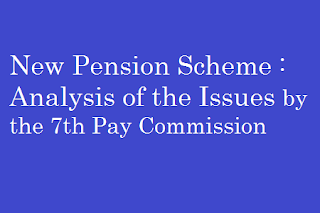 Further, in the case of OPS there is a revision in basic pension itself after every Pay Commission. This too is not available in respect of annuity of NPS subscribers. xi. It has been pointed out that government employees are not given freedom of choice in choosing their fund manager based on performance and track record as the contributions are divided in a pre-specified ratio among selected Pension Fund Managers. It has been stated that government employees have no say in asset allocation of their money. xii. Concerns were raised that the contribution of 10% + 10% will not be sufficient to create a corpus which provides reasonable assurance that pension will be 50 percent of the last pay drawn. 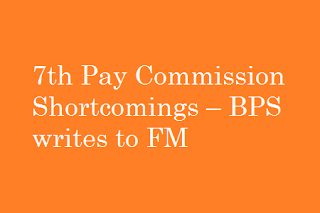 BPS writes to Finance Minister pointing out 7th CPC shortcomings. 1. Ratio between minimum and maximum: Instead of reducing it is raised which is against the preamble of the Constitution of Indian Republic. 2. Minimum salary has been intentionally calculated to be lower to keep common fitment factor low. Counting employees’ wife as 0.80 unit is gender biase and is totally unjustified. Quantities & rates taken for the items in basket are unrealistic for example Rs 524.07 per month is provided Even the lowest category of Govt. accommodation is not available at this rate. Similarly rate of ‘Dal’ is taken to be 97.84 per Kg. No ‘ Dal‘ is or was available in the market at this rate. Quantity of Milk is taken to be 200 ml per unit per day which is too little for a vegetarian rate of Milk is taken to be Rs 37.40 per Kg which is lower than market rate. 3. 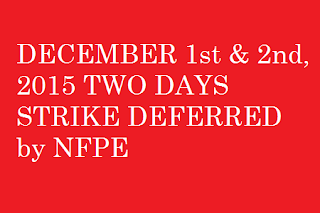 According to 7th CPC 2.57 fitment factor is for all employees. But, in fact. 2.81 fitment has been given at Secy level. This is robbing Peter to pay Paul, violative of CPC own recommendation and that of Article 14 of the constitution of India. 2.81 fitment benefit should be provided to all employee without any discrimination. 4. 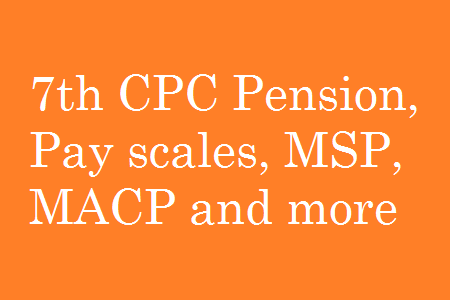 Raising percentage of pension based on sustenance: Analysis given by CPC is silent on sustenance this is unjustified rejection. 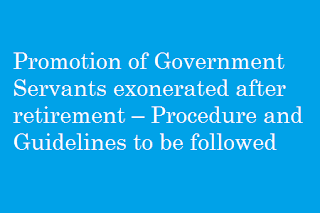 5.OROP recommended by 7th CPC for all. 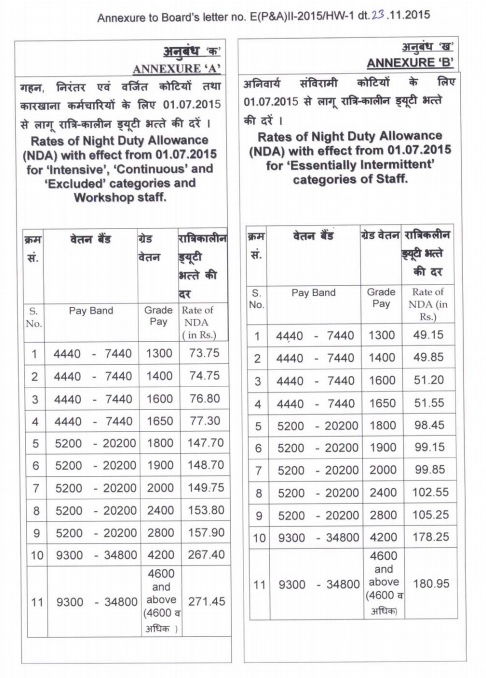 But through the jugglery of pay matrix, for promotee officers and group ‘C.‘ it will end up only in modified parity. This needs rectification to ensure absolute parity for all. 6. Additional pension at 75 yrs of age is denied only because Defence Ministry did not agree this is rather absurd. If Defence Ministry does not want to have it, let them not have it. Why make others suffer on this account? 7. Medical facilities : While the Commission’s recommendations regarding merging of all postal dispensaries with CGHS dispensaries and inclusion of non CGHS covered postal Pensioners are welcome. However, its recommendations regarding Health insurance for pensioners do not suit existing pensioners on account of no coverage of existing disease without lock-in period, no provision of OPD facility , payment of premium and less amount of coverage. Undersigned, wish to draw your kind attention to para 9.5.18 (iii) of the 7th CPC and request you to create without delay a combined entity of CGHS, ECHS-RELHS which in terms of 7th CPC would result in a very strong network of health facilities for the Central Government employees/pensioners across the length and breadth of the country. 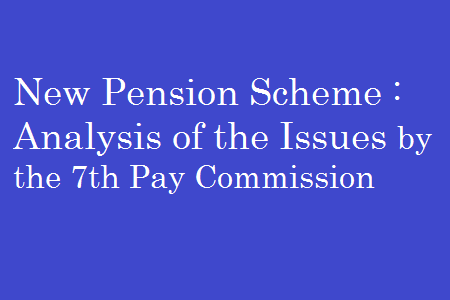 8.Scraping of New Pension scheme(NPS) :It has come out through 7th CPC report that though NPS was introduced more than a decade back Govt; to date could not firm up rules in this regard. With the result over 300000 employee recruited after 2004 may not have enough funds in their accounts at retirement to ensure financial security. Center and state Govt’s share of contribution is insufficient and these governments are not depositing their contribution in time, investments are subjected to service tax & withdrawals are taxable under Income Tax with the result there would not be enough money for reasonable post retirement financial security. Due to ever rising inflation, this situation will go on worsening year by year and will go out of hand by the time of retirement of the beneficiary. This is more than sufficient reason to scrap NPS & to revert to pre 2004 defined benefit Pension Scheme. 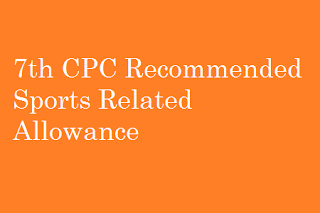 8.12.4 This allowance is paid to players, coaches, technical officials and Railway Sports Promotion Board (RSPB) observers during National and Indian Railways’ camps and Championships, to support additional food requirements, at a uniform rate of Rs.240 per day. There are demands for three fold raise in the amount of this allowance. 8.12.5 While Refreshment allowance is understandable for players/coaches/technical officials, it is not justified for observers of Railway Sports Promotion Board (RSPB). Therefore, since the allowance is not indexed to DA, it is recommended that Refreshment Allowance should be increased by a factor of 2.25 to Rs.540 per day. The amount will rise further by 25 percent each time DA crosses 50 percent. However, the allowance will be paid only to players, coaches and technical officials. 1O-A. SHAHEED KHUDIRAM BOSE ROAD. KOLKATA-700001. No.528/AN-VI (Central)/ Oth. Motor Con. Adv. Subiect: Release of Funds on ‘Other Motor Conveyance Advance’- (00/012/23) during 2015-2016. In this connection, it is stated that a portion of Fund under the Head ‘Other Motor Conveyance Advance’- (00/012/23)’ received from the HQ Office CGDA, Delhi Cantt. In BE 2015-2016 is still available awaiting release. To enable this Office to release the fund, projection, if any, along with the list of applications received from the eligible Officials willing to purchase Scooter/Motor Cycle/Moped of your Office and also sub Offices under your charge, is invited. Release of funds will be considered subject to availability and strictly on seniority basis of application of the individuals. It is, therefore, requested that list of applicants. serving the Office under your Group Charge, stating Name, Designation, A/c. No., Date of Application. Nature of Purchase, Amount applied for and Name of Office where serving may please be furnished urgently by return Fax so as to reach this office by 17th December, 2015 positively. List/s received in this Office later shall not be entertained. This may please be accorded on “TOP PRIORITY”. 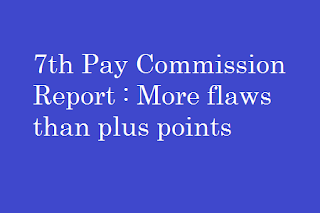 Sub: Seventh Central Pay Commission’s Report — serious resentment among employees against retrograde recommendations — reg. There is widespread disappointment and resentment among all sections of Central Government employees against the retrograde recommendations of 7th Central Pay Commission. 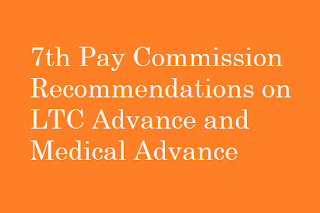 The Pay Commission has illogically recommended the minimum salary Rs.18,000/- p.m. We have explained our case through JCM Staff Side memorandum and also during the meetings with the Pay Commission that the minimum wage of the employees needs to be fixed at Rs. 26,000/- p.m. 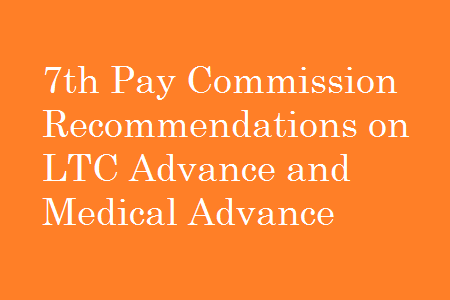 While the Pay Commission has briefly discussed our proposal in Chapter 4.2 of its report, ‘Determination of Minimum Pay’ in para 4.2.5 & 4.2.6 (at Page 61), it is sad to state that the 7th CPC has not only mutilated Dr.Aykroyd formula for determination of minimum wages but also changed Hon’ble Supreme Court’s decision wherein 25% to be added to the salary computed towards meeting the expenses on marriage, recreation, festivals, health, education etc. The housing component has also been reduced to 3%, with the aim to peg the minimum salary at Rs.18,000/- p.m.
Vth CPC – 40% hike with effect from 01/01/1996. 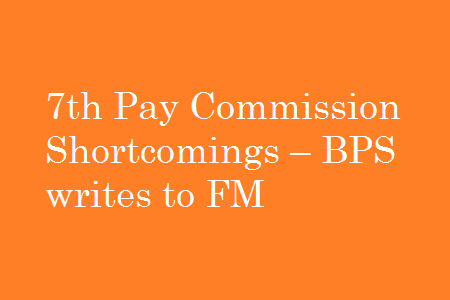 The above facts, reveal that the VIIth Pay Commission has given perverse recommendation on “Minimum Wage” and “fitment formula”, which has led to all – round dissatisfaction among employees. 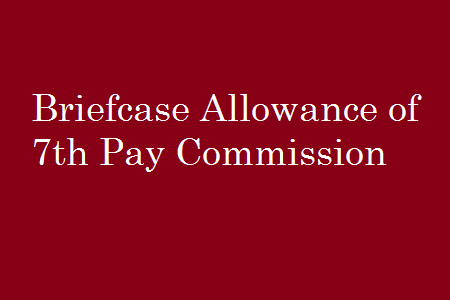 The pay Commission has recommended for abolition of various allowances without looking into the background and justification on which those allowances were granted initially. Reduction of House Rent Allowance from the present ceiling of 30,20 & 10 to 24, 16 & 8 percent for Classes X,Y & Z cities is not proper. The house rents are very exorbitant in cities and small towns. The Railway employees are extremely unhappy over non-grant of improved pay scales inspite of the fact that their duties are unique, complex and hazardous. 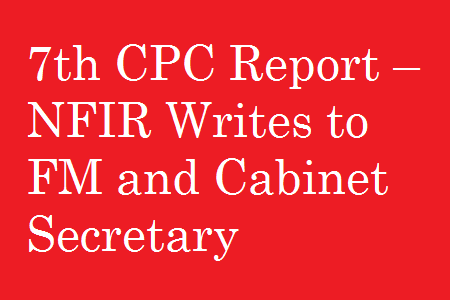 NFIR, therefore, requests the Government to take steps to modify the recommendations suitably for enhancing the minimum wage and fitment formula through discussions with staff side Federations and see that the atmosphere of confrontation is avoided. There are also many anomalies and aberrations in the report which are required to be dealt through discussions for rectification. Today I met the Chairman, VII CPC, Justice Shri Ashok Kumar Mathur, and expressed our anguish against retrograde recommendations of VII CPC, particularly reg. Minimum Wage, reduction in HRA and CCL, non-redressal of NPS, abolition of various allowances, examination of MACP benefit, etc. etc. Tough he had given argument, but I told him about the anguish of all the constituents of the JCM(Staff Side), who feel that they have been betrayed by the VII CPC. Comrades! I have also met the Cabinet Secretary, Shri P.K. 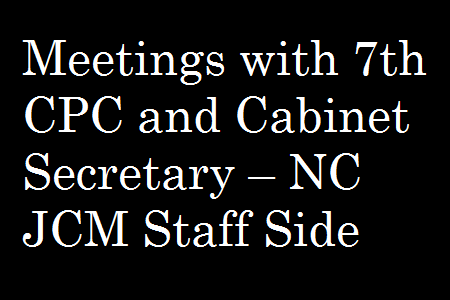 Sinha, in the afternoon and handed him over a copy of the attached letter and requested him to convene meeting of the NC/JCM at an earliest as well as to intervene in the matters raised by the JCA in case of report of VII CPC at an earliest. 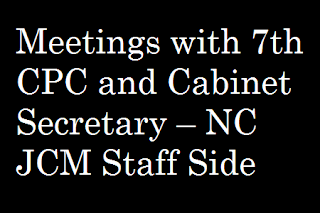 The Cabinet Secretary has promised that he would try to fix the meeting at an earliest and also look into the points raised by the NC/JCM(Staff Side) for VII CPC. 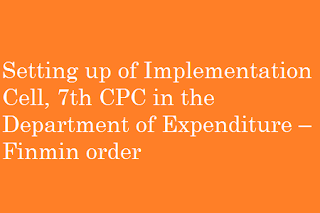 Subject: Setting up of Implementation Cell, Seventh Central Pay Commission in the Department of Expenditure. 2. Joint Secretary (Personnel), Deptt. 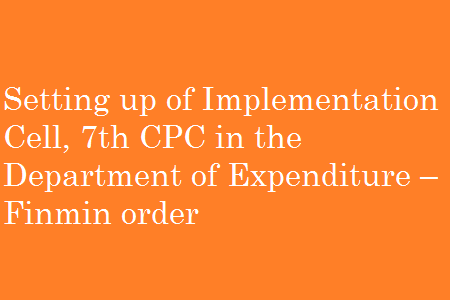 of Expenditure shall head the Implementation Cell in addition to her current responsibility till the post of Joint Secretary, Implementation Cell is created. 3. This issues with the approval of Hon’ble Finance Minister. 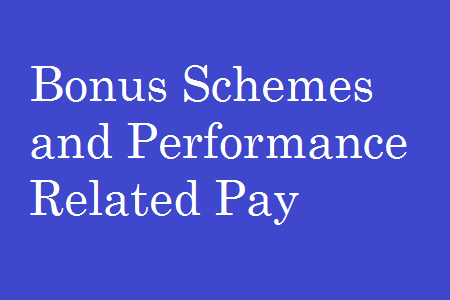 Bonus Schemes in the Central Government : Apart from DAE/DoS, there are bonus payments to Group `B’ (non-gazetted) and Group `C’ Central Government employees. The bulk of these employees are covered under the Productivity Linked Bonus (PLB) Scheme, which is implemented in Railways, Posts and Telecommunications, production units under the Ministry of Defence and other establishments. The functioning of the PLB Scheme was reviewed in 1982-83 by a Group of officers. The Group of officers also considered the demands for grant of bonus made by those Central Government employees who were not covered by the PLB Scheme. The Group suggested evolution of a productivity linked bonus scheme for Central Government employees as a whole. 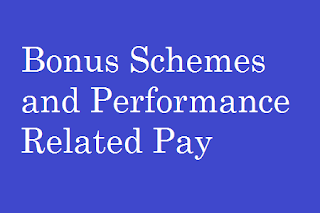 Based on the recommendations of the Group, and pending evolution of a single scheme of bonus for employees, an Adhoc Bonus Scheme was evolved and the remaining employees, who were not covered by the PLB Scheme, were allowed ex-gratia payment. The Commission notes that the financial outgo on these two bonus schemes stood at ?1847.08 crore for the year 2013-14. These Bonus schemes have no clear, quantifiable targets and performance evaluation of any individual, therefore, is not possible in an objective fashion. The Commission notes that Ministry of Finance has been insisting on revision of the PLB Scheme. It has been suggested, inter-alia, that the PLB scheme should be on the basis of an input-output ratio, should be based on productivity and profitability and that productivity should be assessed on financial parameters based on profitability of the organisation. The VI CPC too had recommended that all departments should ultimately replace the existing PLB Schemes with PRIS. The VI CPC further opined that in places where PLB is applicable and it is not found feasible to implement PRIS immediately, the existing PLB schemes may be continued in a modified manner where the formula for computing the bonus has a direct nexus with the increased profitability/productivity under well-defined financial parameters. 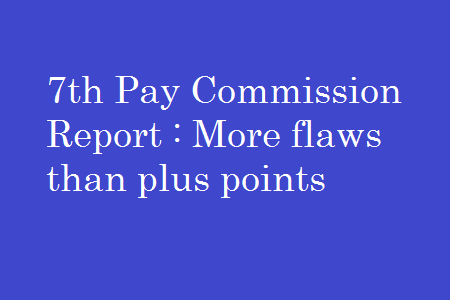 The Commission notes that since PRIS could not be implemented, it could not supplant the existing system of Performance Linked and Adhoc Bonus Schemes. 8.6.2 Employees, who are regularly required to work on holidays, are compensated in a variety of ways. Some, like the employees of Delhi Police and the CISF, are granted an extra month’s pay per year. 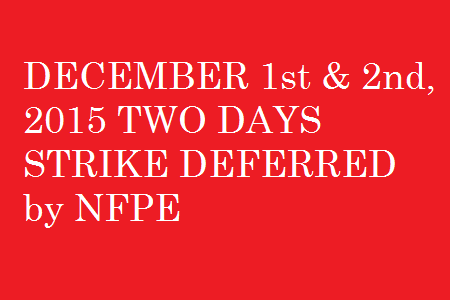 Employees of other CAPFs are granted extra thirty days’ leave. 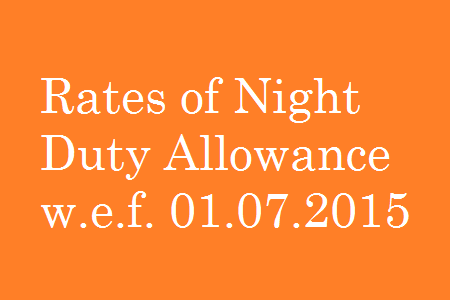 Some other categories of staff are paid allowances, which are dealt with in this section. There are 3 such allowances. 8.6.3 It is a compensation for non-gazetted staff of IB who are required to perform duties on holidays and weekends; granted at the rate of one day’s (Basic Pay + DA) for up to thirty days in a financial year. 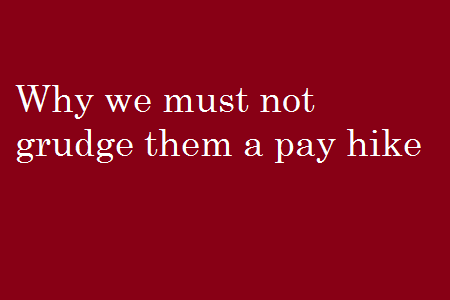 No demands have been received regarding this allowance. 8.6.4 The Commission notes that employees in almost all ministries/departments are, sometimes, required to work on weekends. They are usually compensated by providing a “compensatory off.” Thus, grant of an allowance for weekend working is not justified. 8.6.5 At the same time, the sensitive, and time bound nature of work done by IB should also be kept in mind. Therefore, it is recommended that the non-gazetted staff of IB, presently covered under Holiday Compensatory Allowance, should, henceforth, be covered by National Holiday Allowance. They will be granted this allowance for up to twelve holidays in a year (including the three National Holidays) at the rates prescribed. 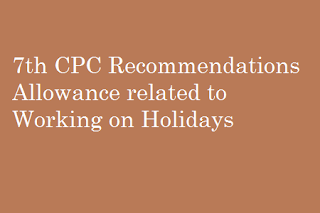 Accordingly, Holiday Compensatory Allowance, as a separate allowance, should be abolished. 8.6.7 Demands have been received to increase the rate of this allowance to Rs.600 per holiday. 8.6.8 Since the allowance is not DA indexed, it is proposed to raise the amount to Rs.200 per holiday for Supervisors, Postal Assistants and Postmen/Sorting Postmen; and Rs.150 per holiday for Multi-tasking Staff. The rate of allowance will further increase by 25 percent each time DA increases by 50 percent. 8.6.12 The rate of allowance will further increase by 25 percent each time DA rises by 50 percent.